President Barack Obama and First Lady Michelle Obama. 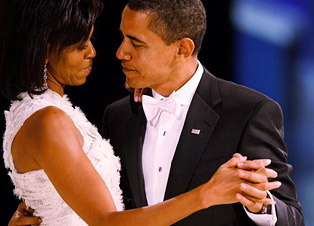 How wonderful was it for our nation and the world to see President Barack Obama and First Lady Michelle Obama take their inaugural dance, including millions into their very public private moment for all to share. We were so moved by their openness yet ability to remain completely private within their own bubble of love as they danced we just had to feature it as part of our TIPS page. It was a memorable moment for the 21st century that shall remain forever as example for all ladies young and old. To see Michelle Obama work the beautiful fashion she chose in quiet dignity and strength, and witness the Obamas joint dignity of coming into their remarkable place in history, was a wondrous thing. President Obama has also been a model of iconic fashion and easy-going classic style in the tradition of some of our most famous clients. There is also nothing quite so wonderful as having kids in the White House to keep things in perspective, to remind us that our greatest treasures worldwide are the children who dream of fantasies coming true, as the child in each of us imagines. Sasha and Malia Obama are amazing kids we instantly loved as a nation, and have also grown to admire for their truthful and wonderfully engaging characters. 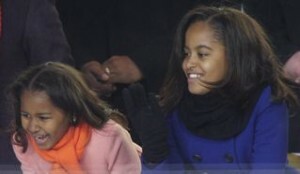 If the Obamas can raise such great kids we all root for them to raise a nation higher. See the photo gallery page on our ISA website featuring clients in various roles in their lifetime we were honored to take care of and assist them to meet. We have been blessed in having some of the most inspirational public figures as clients since our debut in providing our services. Due to our confidentiality policy we don’t feature clients of ISA yet living, but do enjoy a glimpse into some of the most influential folks who helped shape America and the world at large. Today’s ISA TIP? First and foremost, VOTE, and assist others to vote. Then work hard to help those who serve as our elected leaders in their role to meet OUR needs. We must never forget that if we wish to preserve our hard won freedom. It is part of my personal meditation to always seek to help those who cross my path daily regardless of how busy I am. That is also true of my mother, Dora, who remains an amazing inspiration in my life and our entire family, of what a working mother can be if she works hard with unwavering commitment. My mother worked daily way past midnight to make sure our applicants looking for jobs had interviews, a work ethic passed on to me as I saw her worry about everyone’s need to work. Often it meant keeping someone going. It’s that unwavering commitment towards making things better we can each bring to the best in ourselves, to one another, a job, and whether you are an employer or employee. With the OBAMAS in The White House our American quality of life, that anyone can dream and attain, has been affirmed and celebrated in that grand tradition unique to our history; as we witnessed, laughed, wept, and memorialized in the millions worldwide. This advice brought to you by your friends at www.isastaffing.com – The leaders in Domestic Staffing in Los Angeles.